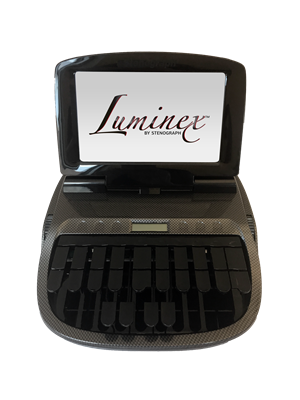 Luminex Carbon Fiber (Limited Edition) | Stenograph L.L.C. 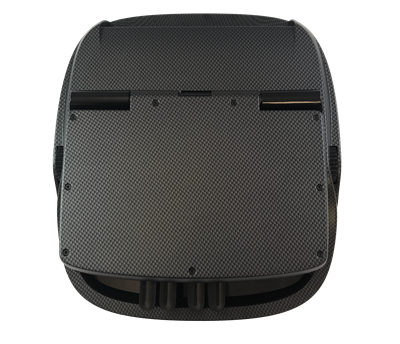 The look of this sleek “carbon fiber” writer is achieved through a method called water transfer printing, or hydro-dipping. 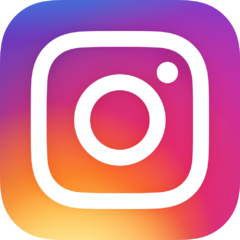 In this process a thin film with a graphic image is placed on the surface of a tank of water. The film dissolves into a liquid with the help of an activator substance. The Luminex shell is then lowered into the tank, through the print layer, which wraps around and adheres to the plastic. 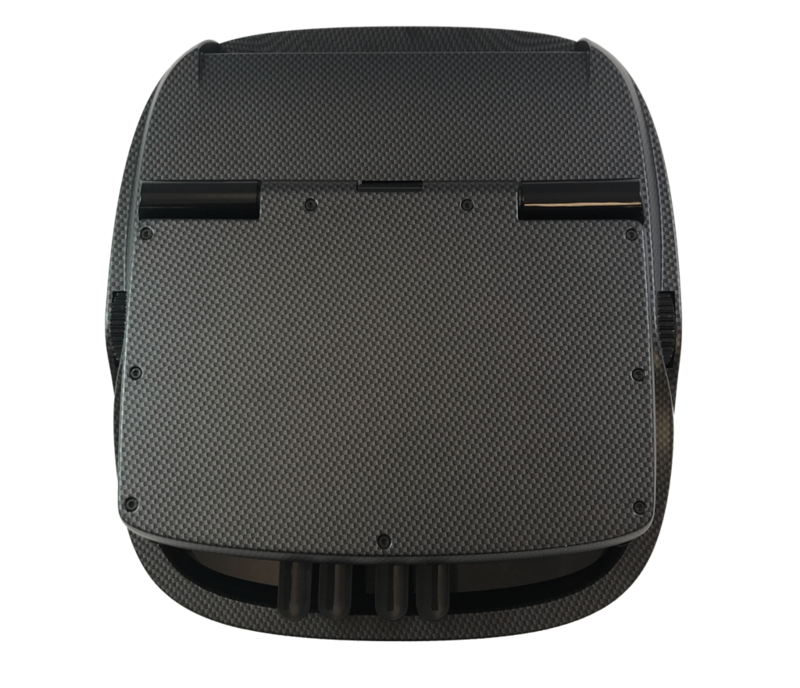 Due to the nature of this process, no two carbon fiber graphic patterns will be exactly alike. Variances in pattern, coloring, and texture are normal and expected. The differences are cosmetic only and will not affect the performance of your writer. Enjoy your one-of-a-kind Luminex! NOTE: LCD Skins are not recommended for use with the Carbon Fiber Luminex.